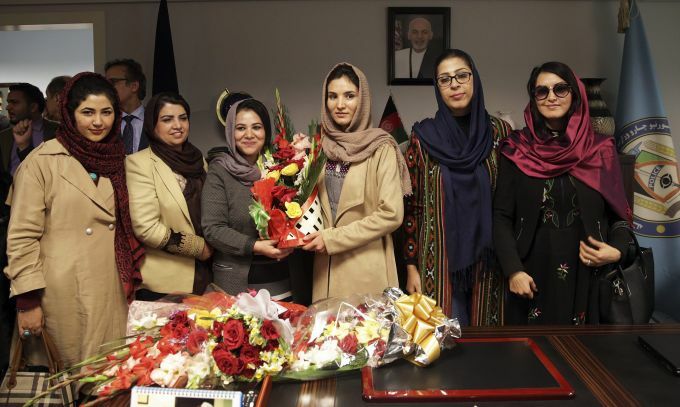 Kabul: Deputy for Policy and Strategic Affairs, Hosna Jalil, center, poses for a group picture at her new office at interior ministry, in Kabul, Afghanistan, Wednesday, Dec. 5, 2018. Afghanistan has appointed its first woman to a senior post at the Interior Ministry, naming Jalil as deputy for policy and strategic affairs. 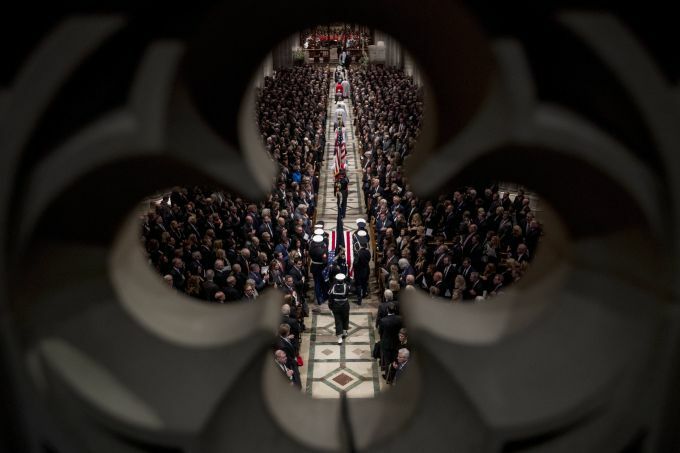 Washington: The flag-draped casket of former President George H.W. Bush is carried by a military honor guard into a State Funeral at the National Cathedral, Wednesday, Dec. 5, 2018, in Washington. 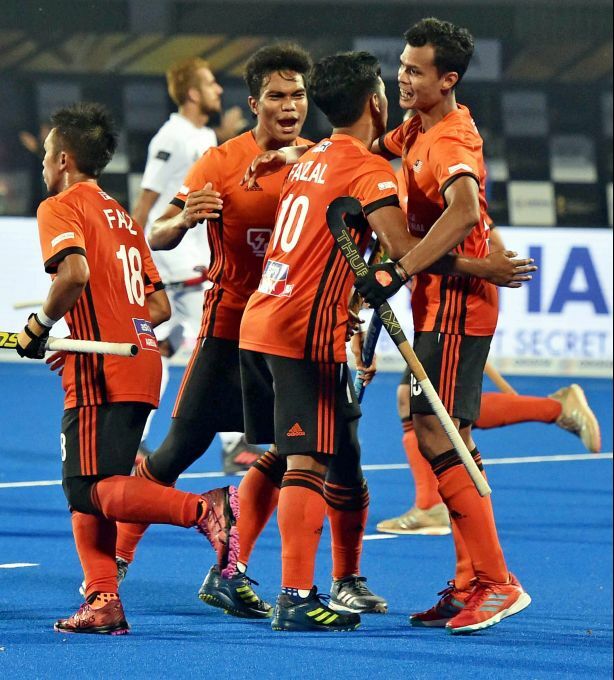 Bhubaneswar: Malaysian players (in red) celebrate after scoring a goal against Pakistan, for Men's Hockey World Cup 2018, at Kalinga Stadium in Bhubaneswar, Wednesday, Dec 5, 2018. 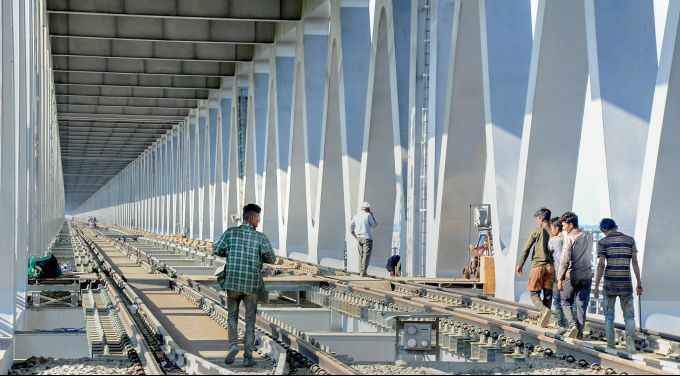 Dibrugarh: Workers construct the Bogibeel Bridge, to be inaugurated by Prime Minister Narendra Modi on 25 December, in Dibrugarh, Wednesday, Dec. 5, 2018. Bogibeel Bridge, India’s longest railroad bridge, connects the north and south banks of the Brahmaputra and falls in the eastern part of Assam and Arunachal Pradesh. 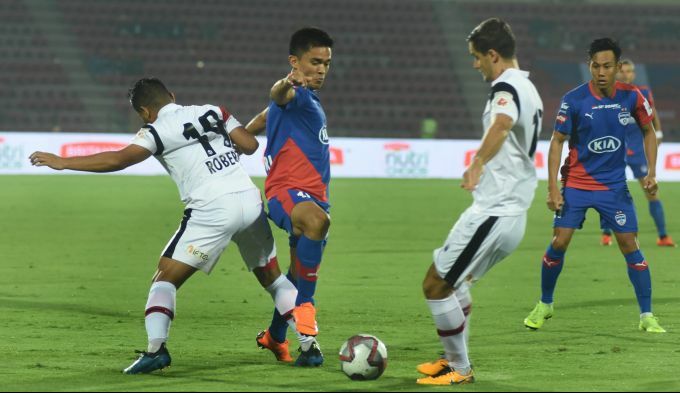 Guwahati: Bengaluru FC captain Sunil Chhetri and North East United FC players (white) in action, at the 5th edition of ISL football tournament, in Guwahati, Wednesday, Dec. 5, 2018. 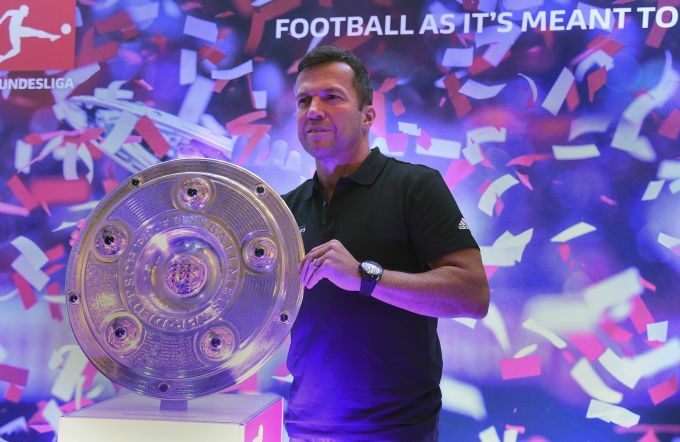 Mumbai: Former German football player Lothar Matthaus holds Bundesliga trophy to promote Bundesliga Legends Tour in India at a press conference, in Mumbai, Wednesday, Dec.05, 2018.